Sign up for our newsletter. Find out what's happening at Giovanna's. That is a quote Giovanna truly lives by. Passionate about cooking and sharing fabulous food with customers is Giovanna’s dream – and it shows in the food and hospitality. We strive to make our guests feel as if they are visiting the home of a good friend. Meals are served in a warm, inviting atmosphere, where you will likely be visited by Giovanna herself. 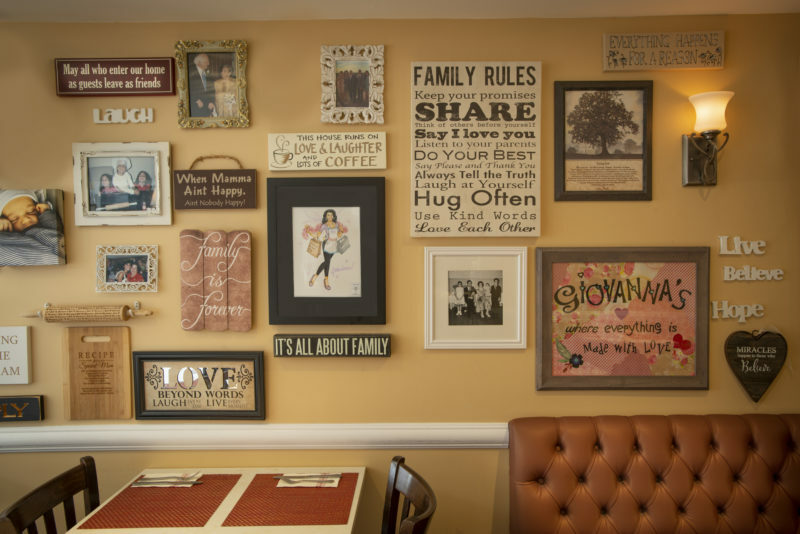 When Giovanna’s team is not in the kitchen making freshly baked goods, such as homemade buttermilk biscuits, or icebox cake, you will find them chatting with customers who they have come to know by name.